Home » » man turns into a goat after he was caught stealing, Witchcraft is real (Watch VIDEO). 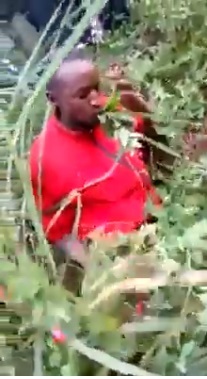 man turns into a goat after he was caught stealing, Witchcraft is real (Watch VIDEO). The proverbial forty days of this thief reached after someone bewitched him. He started eating grass like a goat as curious villagers milled around to witness the bizarre incidence. This is happened in Central Kenya.